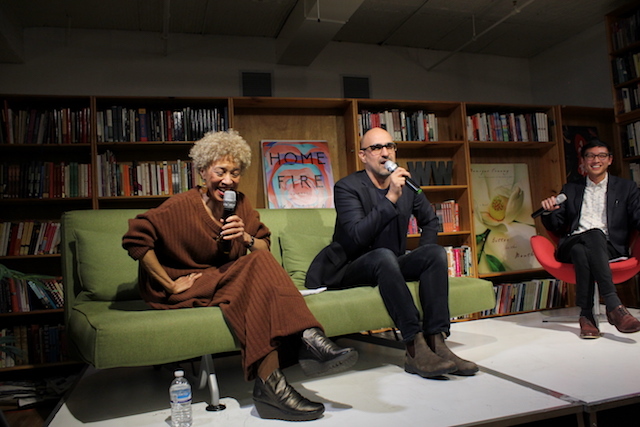 Margo Jefferson, Hari Kunzru, and Kevin Nguyen talk cultural appropriation, how race haunts America, and pop music’s complicated legacies. A special discussion about music and the ghosts of America’s racial past featuring two highly acclaimed authors. A murder mystery, a ghost story, and two cultural tourists collide in Hari Kunzru’s spellbinding novel White Tears (Knopf, 2017), which connects contemporary cultural appropriation and white hawkers of black music with the history of racism and the forgotten geniuses of American music and Delta Mississippi Blues. Pulitzer-Prize winning writer Margo Jefferson’s classic work of cultural criticism, On Michael Jackson (Pantheon, 2005), a complex and tender portrait of the King of Pop, reckons with child stardom and the specter of racial ghosts that shaped his celebrity. She reads from her evolving work on Michael Jackson and current writing on jazz singers. Moderated by Kevin Nguyen, senior editor at GQ.